Her love for portraiture stems from an early age and she draws her inspiration from the masters of antiquity, the golden age of couture, and idyllic family life. The splendid art pieces she creates command attention and capture the heart for generations. They are your very special gift of heritage to your family. Training, experience, great love, and a natural eye for visual art, all this and more she brings to her craft. Meticulous in her workmanship, Rona Leah is dedicated to a pursuit of excellence in portraiture. 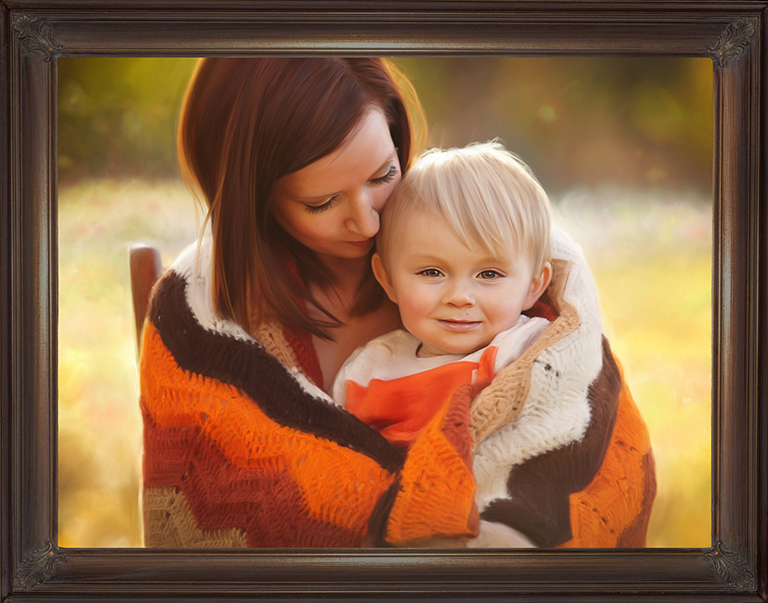 She feels strongly that beautiful portraiture displayed in the home is a tradition worth continuing. Together with her partners they create some of the most exhilarating and heart warming portraiture today. Absolute authenticity in artistry. Accepting commissions for children, families, women, and men. She welcomes you to experience the exquisite uniqueness of a Rona Leah art piece. Whether this is your family’s time honored tradition or the beginning of a new one, you are graciously invited to contact the studio and reserve this unique opportunity and encounter exquisite portraiture at its richest.